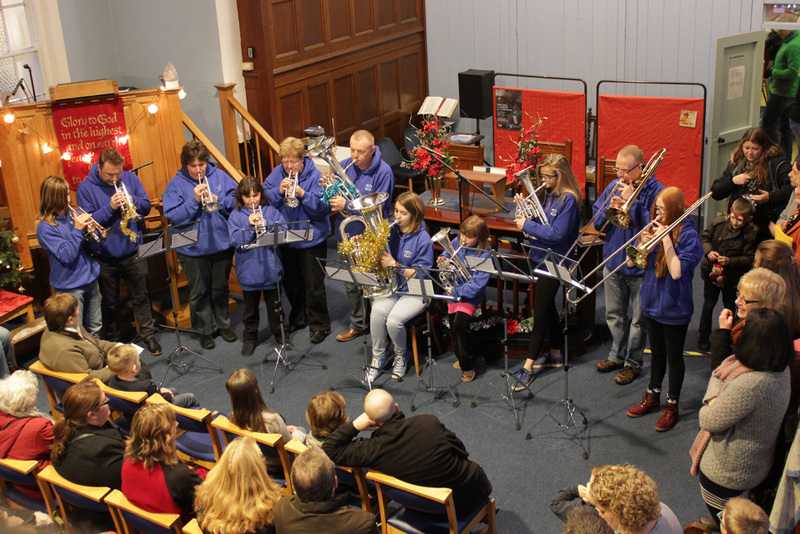 Our Junior Band were delighted to be invited again to play at the Anstey Gala on 6th December 2014, playing at The Methodist Church & The United Reformed Church to packed out audiences as part of a number of events in the town. 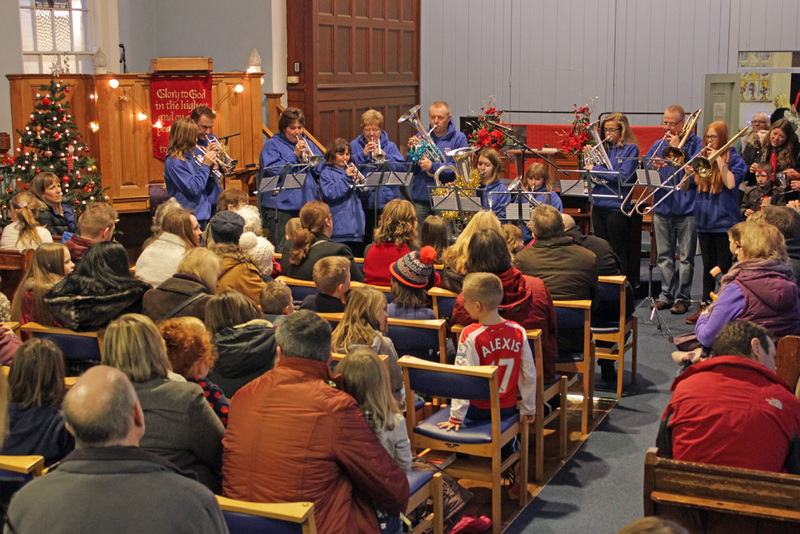 The event culminated with Junior Band playing some carols outside while the crowd sang along, with Father Christmas coming along to turn the lights on at 5.30pm. 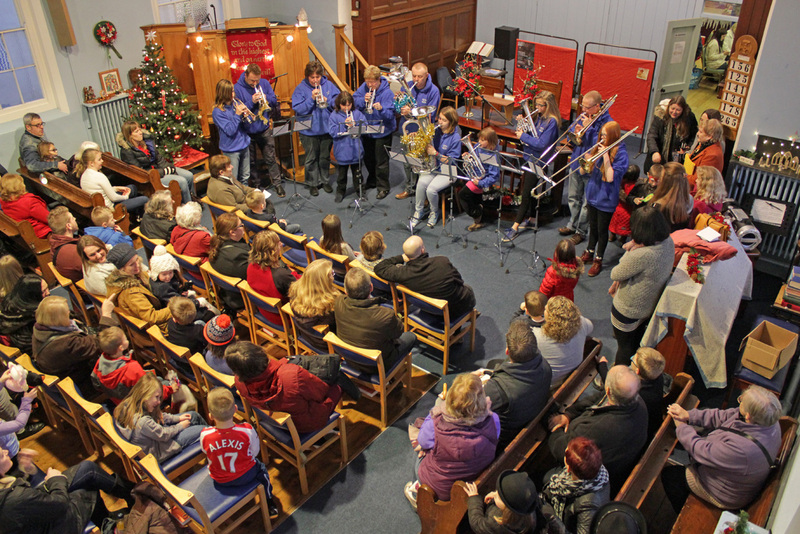 ← Here we go a wassailling….